Dr. Lal began his long and profitable career in India at Punjab University where he received his Bachelor of Science in Pharmaceutical Sciences. He later migrated to the United States where he completed first a Masters degree from the University of Kansas and then his Doctoral degree from the University of Chicago. 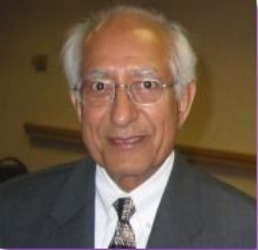 Dr. Lal wrote the fist book on neuro-protection, a term he popularized to refer to modes and mechanisms employed for the prevention of acute or chronic nerve cell injury, in addition to neuro- regeneration as a strategy for promotion of healing and sprouting of the surviving brain cells upon the death of their neighboring neurons.